Everything Attachments ® offers you the highest quality tractor and skid steer attachments on the planet. The great reviews that we have received over the years is the result of our dedication to quality, value, and customer service that is second to none. 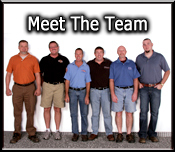 In addition to having the most complete and informative website on the internet, our experienced sales staff is eager to help you choose the perfect tractor or skid steer attachments that fit your machine and needs. Since your tractor or skid steer is only as good as the attachments on it, why buy inferior, subpar attachments? We only sell new, top quality attachments that will get the job done right the first time. Other attachments dealers sell cheap made or used equipment, but our motto has always been " Quality By Design ®" meaning the design of an attachment is what delivers the greatest part of its quality, and if the quality isn't there, we don't sell it! To ensure quality, we have NO CHINA MADE Attachments on our Entire Website!! "The bitterness of poor quality and lack of customer service lingers long after the sweetness of price is forgotten." 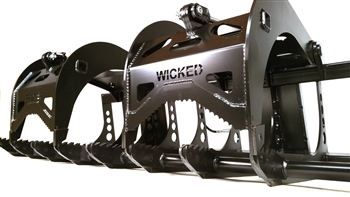 Everything Attachments® Wicked Root Grapples! Several hundred pounds of unnecessary dead weight on the front of your tractor can make it feel sluggish and less agile, so installing a HEAVY GRAPPLE just DOESN'T MAKE SENSE!! The Incredibly Strong Wicked Root Grapples are designed to maximize the efficiency and productivity of your loader without sacrificing strength and durability! Buy tractor attachments online from the best online tractor attachments super store. Order your tractor attachments online today! Searching online for skid steer attachments? We offer attachments for most skid steers from the top skid steer attachments manufacturers. Mini skid steers need attachments to work. Browse our library of top rated mini skid steer attachments online and order yours today! Browse excavator attachment reviews online to find the best value excavator attachments. Quality excavator attachments for the best online prices. Look for Hay Attachments for sale? We have the best prices - not cheap hay attachments but quality. Browse reviews and buy online. 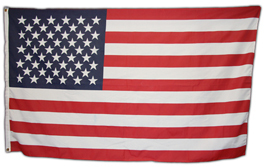 Everything Attachments ® offers a full line of attachments that are made in America. We use top quality American steel on all attachments that come from our factory located here in Newton, NC. We offer free shipping on almost every attachment on our website, so there is no guessing about how much an attachment will cost you. Shop attachments online with full confidence that you are buying the highest quality attachments for the best value. 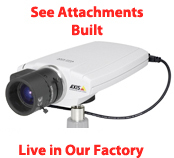 All attachments qualify for FREE shipping within 1,000 miles!!! The Everything Attachments 6 way scrape blade is the best blade on the market, it is American made.Free shipping within 1,000 miles! We have improved upon several designs of tractor scrape blades, this is the best value on the market for tractor rear scrape blades. Free shipping within 1,000 miles! 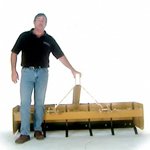 Move trailers with your tractor using the Everything Attachments 3 point hitch trailer mover. This attachment has a 2" x 2" standard receiver opening. Free ground shipping to your door within 1,000 miles! Everything Attachments Landscape Rake, the best quality landscape rake available!Free shipping within 1,000 miles! A new and improved Tractor 3 point hitch, Lawn Plugger, Core Aerator, Core Plugger, by Everything Attachments Free shipping within 1,000 miles! Post hole digger with 4", 6", 9", & 12" Auger Bit sizes available. Free ground shipping to your home within 1,000 miles! The Everything Attachments Land Leveler, with scarifier shanks, available in 5', 6', 7' and 8' widths. Free shipping within 1,000 miles! Your can move 2-5/16" Ball type goose neck trailers with the Everything Attachments Cat I & II 3 Point receiver hitch, gooseneck trailer mover. Free ground shipping to your door within 1,000 miles!